Recently, Samsung has announced its 1,000 lumens LED projector, which means no more bulb replacement costs are incurred and it is now safe to buy the projectors for your home theatres. Well, this made me think of planning… planning for the future. I am going to get this projector, but I want to make it worth the money: so I need to create something spectacular on a 100 inch wide (nearly 2 meters across) screen for the parties I am going to throw the summer of 2011. I need me a great Media Center. There are three that I know; hence each part of this article will be dedicated to one of the Media Centers that I've heard about and/or used. The first one is XBox Media Center, or shortly XBMC. The Xbox game console was released by Microsoft in 2002 (rounded). The console could only run games signed by Microsoft (approved by Microsoft only). A couple of months later, when some people got bored playing games on Xbox, then those some began to think and thinking got very angry. They paid big bucks to have a semi-powerful computer with outstanding (for that time) graphic chip on it. Why I can't use all the features of the hardware I bought, only those that are approved by Microsoft. Needless to say, in the following months Xbox was brought down to its knees with exploits that allowed executing non-proprietary (homebrew) code on the game console. As people were now only limited by their imagination and Xbox's resources, amazing things began to be created by developers around the globe. 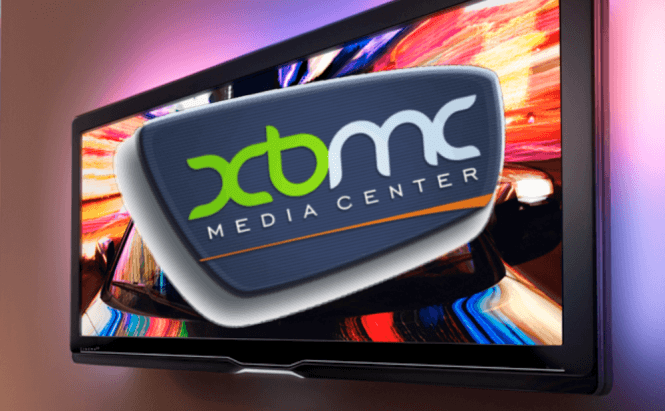 XBMC dates back to the time when the developers created XBMP (Xbox Media Player). The player could play almost all video formats available at that time. After a while the MPlayer source code development was ceased and it was absorbed to be part of XBMC (Media Center). The development of XBMC for Xbox was very challenging due to the limited resources of the game console – it has only 64 Mb of memory available and cannot play HD natively. The only answer to this problem was to re-work the source code to be compatible with Windows, Mac, and Linux, giving develops the freedom they needed for a long time. As recent as January 2011, XBMC was ported to iDevices, and I am going to have to check it out. XBMC can be installed on already running Windows, Linux and Apple systems or you may want to try it out without installing, by booting into XBMC Live version on your PC. The performance of the XBMC depends on the resources of your computer and the operating system's ability (Linux in this given case) to recognize the hardware in your system (find all the drivers for your hardware). In short, XBMC runs on most common computers (x86 type) and even on some iDevices. Weather – shows current weather information for up to three locations. Pictures – thumbnail preview of images, slideshow, and image information. Music – playback of audio files. Video – playback of video files, including DVD playback. Programs – scripts executable within XBMC, like a torrent download or a RSS reader. System – a place of system's abundant settings. Almost everything in XBMC can be customized. Since the software is open source a lot of people around the world contribute whatever talent they have to make this software the best of the best. There are many wonderful skins and themes for the media center. You get to customize when the computer goes idle, to sleep or when to turn it off. You can also lock the center with a password, so if you have kids, they won't be able to access the system when they should be doing their homework. I know for the fact that you won't get the same number of settings that you are in control of from any shareware products out there. You can read more about the program from the review made by a contributor for the software informer's software library here: XBMC Media Center. That review has everything you need to know about the program along with some screenshots. Also, you can find the developer's webpage in case you wish to use XBMC. I say, you should at least try it out sometimes. When you are bored, just visit the developer's site and download the Live version to try it out on your computer. You won't lose anything as you do not even have to install anything. Alternatively, you could install the XBMC on your computer and play with it this way. Also, check out some of the screenshots I've made below. Someone who used XBMC on their TV or computer will not imagine his/her life without some sort of a media center. After the initial setup, there are no additional settings to mess around with, and interacting with the media suddenly becomes fun. I am going to setup XBMC as a stand-alone box for my 50'' TV until I get my projector this summer. I am going to get Lenovo IdeaCentre Q150 because it has everything I need for outstanding experience using XBMC. There will be very little that the system cannot handle, such as Blu-ray disks, but the PS3 connected to the same TV will be able to close the gap. I am sure I will throw the hottest parties in town! J.R. Media Center is made for Windows operating system only. This program is great for those who do not own a huge TV (not the main requirement, however) and will be using their computers as a Media Centers. You can watch TV on your computer with this program, given you have TV card installed. Read more in Media Centers, Part II: J.R. Media Center. Audio Options. The XBMC supports DTS!!! Previous story What Do You Need JPEG For? Next story Feeling at Home? Do it Yourself!